We would like to inform you that Chinese Journal of Cancer has changed the title to Cancer Communications on 1st March 2018. 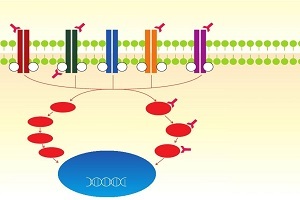 This thematic series discusses the molecular classifications of gastric cancer by the Cancer Genome Atlas (TCGA) and the Asian Cancer Research Group (ACRG) as well as the implications in personalized therapeutic choices; discusses the evolution of gastric surgery and presents perspectives on surgical techniques in treating gastric cancer; and reviews current and emerging targeted agents as well as immunotherapies in treating gastric cancer. 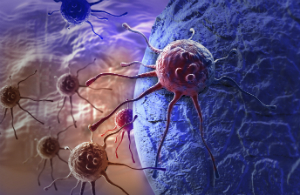 With these advancements in molecular characterization, surgical intervention, and targeted and immunotherapies, gastric cancer will enter a personalized medicine era in the next 5 years. and Chao-Nan Qian　 Forming efficient vasculature network, also known as tumor angiogenesis, is a critical hallmark in tumor development. Explorations on its underlying molecular mechanisms have resulted in several novel anti-cancer drugs. However, the modest survival benefits from anti-angiogenic therapy have forced us to revisit our understanding on tumor angiogenesis. In this special issue, world-leading experts have contributed their critical thoughts to reveal alternative tumor angiogenesis approaches and potential treatment targets. Lung cancer accounts for approximately 21% of worldwide cancer deaths and a staggering 1.6 million new cases are diagnosed every year. In China, lung cancer has become a particularly challenging disease because of air pollution and smoking. 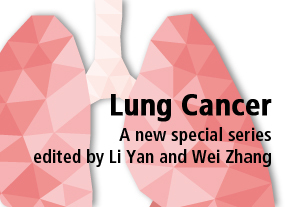 This thematic series discusses the proper use of targeted agents in treating lung cancer, reviews the application of biomarkers in clinical management and drug development, and analyzes the unique challenges in developing novel drugs for lung cancer in China.